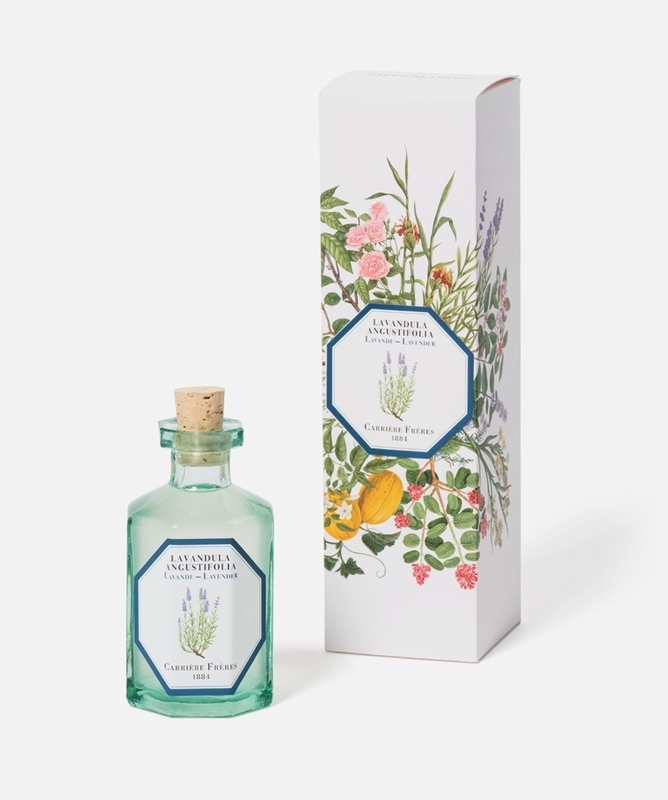 She’s also called “true lavender” and grows wild on the hills of Southern France. Purple shrubs of green grey leaves, lavender’s fragrant flowers stand up straight, defying the elements with their colourful spikes. Its essential oil, of the highest quality, purifies and heals. Lavender is a grand and generous flower. Rattan sticks diffuse the perfume by capillarity for a constant and light diffusion. 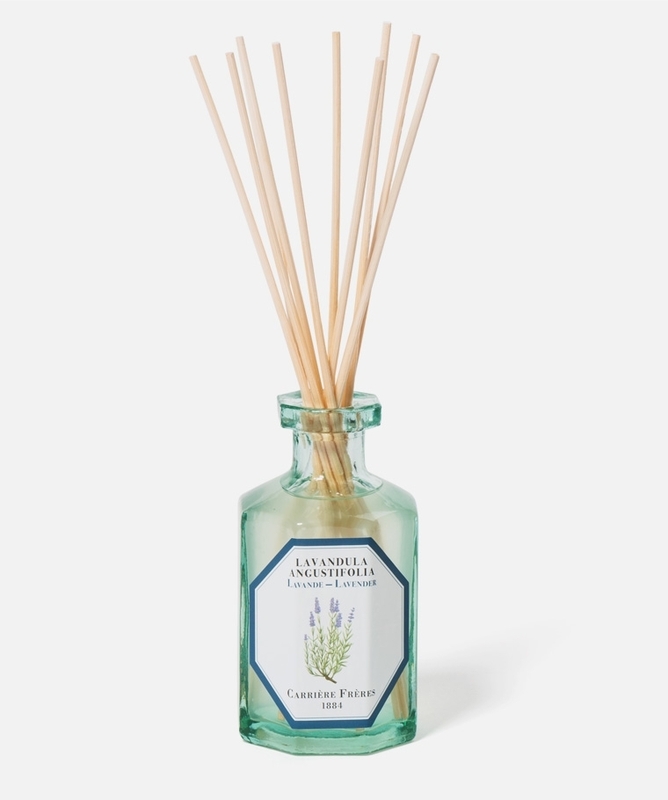 On first use, for an immediate release, soak the rattan sticks in the bottle and flip them so that the scented part of the sticks is outside of the bottle. In order to obtain a continuous diffusion, flip the sticks during the first two weeks of use and then every four days until complete evaporation of the perfume. Changing the number of sticks allows to modify the intensity of the perfume. Perfume diffusion will last about 8 to 12 weeks. This duration may vary depending on the size of the room where the room fragrance diffuser is located, the room temperature, the exposure of the diffuser to direct sunlight, and draughts, which increase the evaporation of the perfume.